for $313,812 with 3 bedrooms and 2 full baths. This 1,977 square foot home was built in 2019 on a lot size of 55x135. BRAND NEW LAKE LOT HOME by award-winning builder Ashton Woods Homes in the new Lakes of Bella Terra West! Highly desirable location at the corner of Grand Parkway (99) and Westpark Tollway (1093). 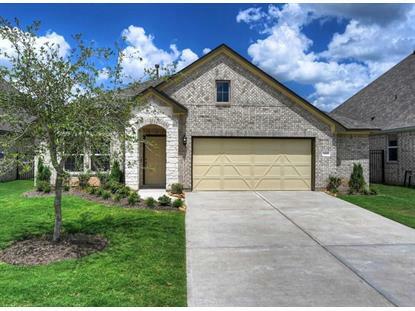 The Medina is a floor plan with a gorgeous brick and stone elevation and covered porch. The home features a formal dining room, a kitchen open to the breakfast and family room, a bay window in the master suite and covered patio. Some of the loaded upgrades in this home are the beautiful hard floors, Silestone counter tops, and upgraded cabinetry. The open-concept layout makes this home great for entertaining. Beautiful lake front view!